The politicians we elect to handle our affairs are off on their Christmas jollies – whether you think those are well earned is up to you, and so there’s a politically-led hole in our lives for the next couple of weeks. Not to worry: there’s always plenty to focus our attention on at this time of the year; not least a fantastic card of National Hunt racing. The Welsh Grand National will garner plenty of interest on December 27, but for my money one of the absolute highlights of the racing season is the Winter Festival. The star that shines the brightest there is the King George VI Chase, a prestigious Grade 1 renewal previously won by the likes of Desert Orchid, Kauto Star and Best Mate. Yep, this is a classic. 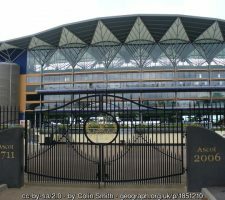 There are lukewarm favourites with the bookmakers and then there are red hot sorts, and while this is a high-quality field assembling at Kempton you have to say that Might Bite falls unreservedly into the latter category. A double-header of Grade 1 wins in 2017: the RSA Novices’ Chase at Cheltenham back in March, and the Mildmay Novices’ Chase a couple of weeks later, are the obvious starting point for analysis, but actually the context in this case is much more important. Since stepping up to the 24 furlong mark, Might Bite has triumphed in those two big races, also won at Kempton Park on another occasions and nearly took the spoils in the Kauto Star Novices’ Chase at this very meeting; falling at the last fence in an otherwise faultless display of racing. Trainer Nicky Henderson has a truly special horse on his hands here, and with doubts about many of the others in the field Might Bite has to go down as a worthy favourite. It’s amazing what the autumn break can do for a horse’s status. Bristol De Mai was one of those talented sorts who never really looked like achieving anything spectacular in National Hunt racing, despite a couple of decent place finishes in the past couple of years. Quite what Nigel Twiston-Davies fed the six-year-old during the off-season is anybody’s guess, as the grey has come hurtling into form this season. Victory on his return in the Grade 2 Charlie Hall Chase was impressive enough, but there followed an incredible triumph in the Betfair Chase at Sandown Park, where he bested Cue Card by a frankly ludicrous 57 lengths. Cue mass hysteria from the betting ranks; cue a damp flannel from yours truly. The conditions at Sandown that day were ‘difficult’ at best; the track more closely resembled a mudbath in a zoo’s elephant enclosure. Conditions will be much faster on Boxing Day, despite the odd outbreak of rain, and so we’ll have to wait and see if Bristol De Mai can mix it in top-class company in slicker surroundings. This horse’s fall from grace has been so sad to see, but shrewdies no better than to completely write off those who have shown talent before. Thistlecrack powered to victory in this very race 12 months ago to bring the curtain down on a quality 2016, which included seven straight victories at Cheltenham (Cleeve Hurdle, Ryanair World Hurdle), Aintree (Liverpool Stayers’ Hurdle) and elsewhere. Unfortunately, 2017 didn’t quite live up to expectations. A defeat to the sadly departed Many Clouds in January set the scene, and an awful injury thereafter ruled Thistlecrack out of the Cheltenham Festival and beyond. Which brings us pretty much up to the present day. Oh, of course there was the docile fifth place finish at Newbury on December 1, which hardly hinted at great form to follow. Thistlecrack was/is a fantastic horse, but it’s hard to get excited about his chances here. Some brilliant form over two miles or so has propelled Fox Norton to the upper reaches of most rating systems, but Colin Tizzard has taken the decision to increase the seven-yea-old’s workload to 24f. This is his debut at the mark, and you do wonder if a lack of competitive action at this longer trip are ultimately going to derail his chances. Here’s an intriguing sort with plenty of relevant form in the book. A stablemate of Might Bite, Whisper has twice come agonisingly close to upsetting the odds against his more illustrious chum; losing by a neck and two lengths respectively in those RSA and Mildmay Novices Chases. But he’s followed up with decent efforts at Kempton, where he outfoxed the talented Clan Des Obeaux in a straight head-to-head, and at Newbury, where he was a neck shy of winner Total Recall in the Ladbrokes Trophy Chase. Can he trump Might Bite at the third time of asking? Perhaps not, but 9/1 is a fair price in a field where a few above him in the pecking order are questionable. 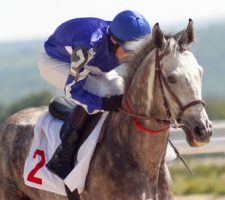 When we look at horse racing form, we can go long term or we can opt for a hyper short-term approach. Punters with long memories will remember Tea For Two delivering some decent performances through the years, including a famous win in the Kauto Star Novices’ Chase on Boxing Day 2015 ad the Betway Bowl Chase back in April (where he trounced Bristol De Mai by some 24 lengths, no less). But those focusing on this season alone will note a pair of derisory efforts at Aintree (ninth of eleven) and Haydock, where he was a whopping 67 lengths shy of winner Bristol De Mai in finishing fourth of six. There’s just no recent evidence that the form is there to upset the odds at Kempton.